Just a quick update on the salon at Round Chapel. Please, have a look and pay close attention to details regarding the Install Team if you are working in 2-D. This is very important for participants to understand. The shows are not curated. The idea behind a salon is to show case a wide variety of fine art practises and not just a particular theme or topic. This allows for multiple areas of discourse to be reached and to be followed up on through a publication we are planning to release post event. 1. deadline for payment and submissions are Monday, April 23rd. The online payment system is now live and ready for you to pay your £10 fee for the Round Chapel Salon on 26th April. Once you have paid the £10 then that will confirm your slot to show your work at the salon. Please pay as soon as possible as this will help us to arrange everything else and organise our funds for more events. One person can pay for other people as well and you will need to write their names in too, so that we can keep a record of everyone who has paid. I’ll be keeping track of who has paid and chasing up those who haven’t, so that we’ve got a completed list of who is confirmed to show their work. You will need to set up an account which doesn’t take long, if you don’t already have one. 2. A second site visit to Round Chapel is scheduled for this Friday 20th April at 4pm. location: 1d Glenarm Road Hackney E5 0LY. We've had to reschedule due to scheduling conflicts. Apologies. We need the Install Team to be present as well as any participants who would like to have a look at the space and voice their opinions. (*anyone wishing to visit the site over the weekend of April 13-15th, please send an email and we’ll try to arrange). Van & Equipment Hire: We can not provide any money for van hire or equipment. We can suggest places to contact in the case that the Colleges don't have the equipment needed but can not get involved with either hire due to costs and insurance. it would be easy to project material onto the walls in several ways around the space and in the corridors. 5. Publication: The publication is something new. Based on the writings of Charles Baudelaire and the Parisian Salons, it will be a post salon followup with the chance to publish written works, feedback comments and images from the event. Robert Cliff will be editing the publication and working with Kate Ross. We are looking for ways to fill the content of this publication and welcome contributions ideas and feedback. If you are interested in contributing, please email us at the salon series email address. 6. BAR: The Chelsea MA Catalogue Team has been contacted to organise the bar as a fundrasier. Please, talk to your course representative on this team to offer help and support. We have a volunteer from Wimbledon who has expressed interested in setting up a bar as well. Please, contact Amelia Critchlow ameliacritchlow@hotmail.com if you are on a course at Wimbledon to volunteer. I hope that answers your questions. 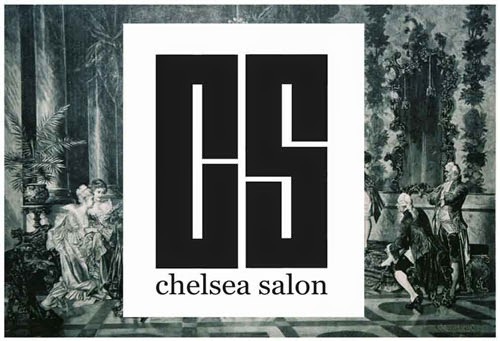 I wanted to make another point that we are solely volunteering our time for Chelsea Salon Series and by no means receiving financial gain. We are all alumni who are donating our time to help provide opportunities for current students and fellow alumni. We try very hard to ask for little to no financial contribution out of respect for fees already paid for studies. Having said this, financial obligations do occur and we weigh these against the potential gain for everyone involved.